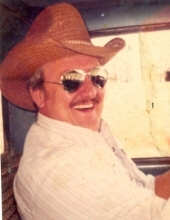 Celebrating the life of Larry D. South, Sr.
Obituary for Larry D. South, Sr.
Larry Darrell South Sr., 78, of Drexel, MO passed away on December 30th, 2018 at Research Hospital surrounded by family. Cremation, with a memorial visitation to be held from 1-2 PM Saturday, January 5, 2019 at Mullinax Funeral Home – Drexel Chapel (660-679-0009) in Drexel. Private family inurnment will be in Sharon Cemetery near Drexel. Messages of condolence and memories for the family may be left at www.mullinaxfuneralhome.com. Larry was born on March 5th, 1940 in Sugar Creek, MO to Floyd and June (Moser) South and grew up in the Kansas City area. He married Janice (Campbell) South on June 23rd, 1962 and together had five children. The family moved to Drexel in June of 1973 and he and his wife became active members of the community with Larry becoming a volunteer firefighter. He attended and graduated from the school of hard knocks working for just about anybody doing just about anything, from tow truck driver in Oklahoma City, OK, apple picker in Tacoma, Washington, wire winder in Anaheim, California and later attended mechanics classes to become a “Transmission man” for Ford Dealerships in the Kansas City area. After over 30 years with Ford he retired in 2005 and started working part time for the city of Drexel and helping Janice babysit and chase great-grandkids around the house. Larry loved building go-carts with his boys as they grew up, camping, fishing, going to the lake and riding his favorite horse Slim. Larry was well known for and will always be remembered for buying and selling just about anything in his front yard. Larry was preceded in death by his wife Janice, one son John Mac Arthur South, one great-grandson Gage Kraft his parents and one brother. He is survived by one sister Theresa Edmonds and four children, Deborah Blanton of Drexel, MO, Donna Gray of Drexel, MO, Larry South Jr. of St. Petersburg, FL, Ralph and (Kathy South) of Drexel, MO, eight grandchildren and 13 great-grandchildren. In lieu of flowers donations can be made to the family through Mullinax Funeral Home. To send flowers or a remembrance gift to the family of Larry D. South, Sr., please visit our Tribute Store. "Email Address" would like to share the life celebration of Larry D. South, Sr.. Click on the "link" to go to share a favorite memory or leave a condolence message for the family.